List Price: $13.99 see our store for discounted prices! 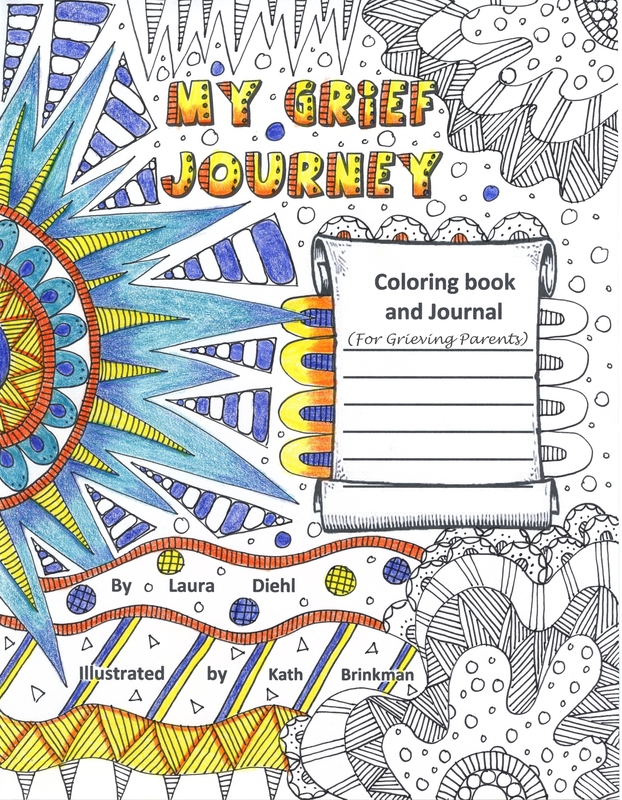 ​Are you a grieving parent, looking for ways to help relieve the intense pain, anger, and confusion? Do you want to move toward hope and life again? Studies show that coloring relieves stress. Journaling also helps us get in touch with things we might be feeling, but haven’t been able to put into words. 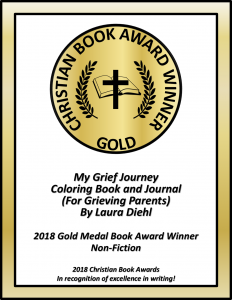 My Grief Journey: Coloring Book and Journal is an award winning book that puts the two together in an effective and powerful way. Each picture is hand drawn. You may see uneven, wobbly lines and maybe even an occasional mistake. This mirrors life much clearer than a perfect computer generated drawing. Life throws things at us that make us feel uneven and wobbly. And occasionally we blow it. But if we continue on, in the end, it will be beautiful.